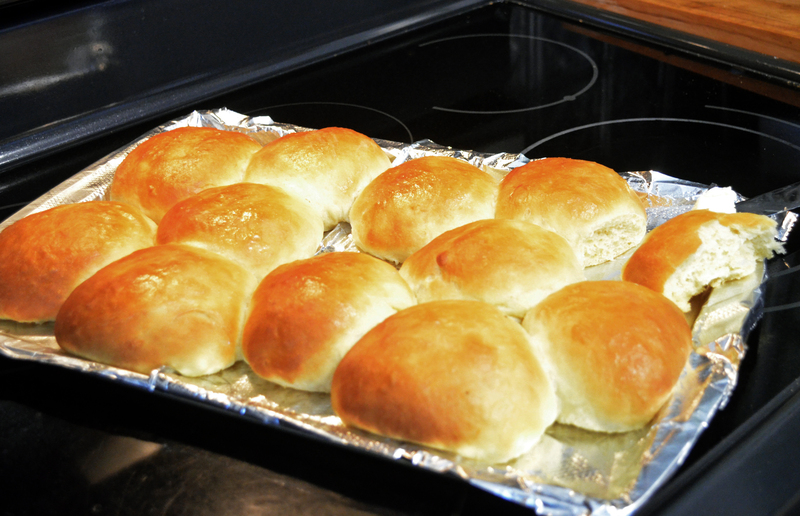 Quick and easy, use these as sandwich rolls or hamburger buns. Mix together the warm water, sugar, oil, and yeast. Let stand until yeast mixture is bubbly. Add salt and beaten egg to the yeast mixture and stir. Mix in the flour a little at a time until dough is no longer sticky. You may or may not use all of it. Cover and let rise in a warm place for 10 minutes. Grease a cookie sheet with 1-inch sides or line it with parchment paper and spray with oil. Oil your hands and shape into 12 balls. Place balls about 1 inch apart and let rise 20 minutes or until a little more than doubled. It’s okay if some of the sides end up touching each other. Bake at 375 degrees 12-15 minutes or until golden. Cool, slice, and use as hamburger or sandwich buns. This is a real, tasty, time saver that you’ll want to make regularly. 15 minutes to mix in the morning, let rise and bake in a couple hours. 1 pkg. instant dry yeast (fast-rising saves time)……2-loaves: 2 pkgs. 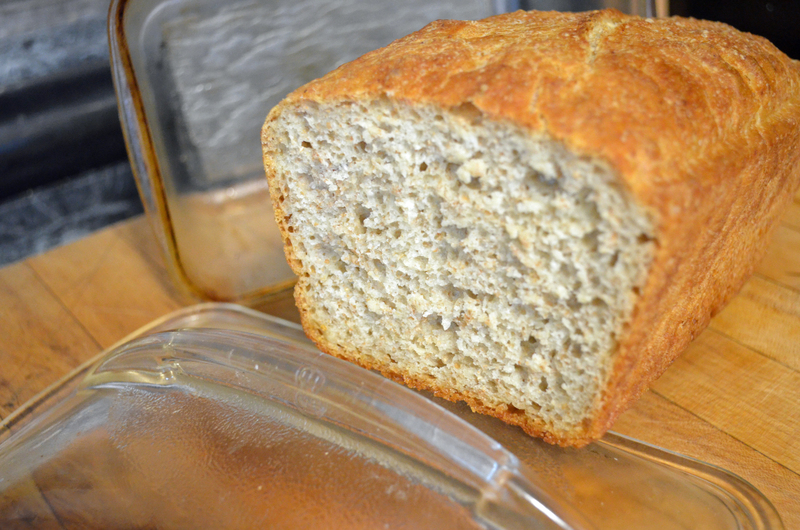 2 teaspoon kosher salt…………………………2-loaves: 4 tsp. In a large mixing bowl, mix all dry ingredients including yeast. You could use all white flour if you want. Pour in 1 1/2 cups water (room temp.) Mix the dough together and with a flexible, flat plastic dough scraper (or your hands) scrape, fold, turn and press down with your palms 10 times (a mini- knead). Do this only long enough to thoroughly mix ingredients. When ready to bake: Heat your oven to 400 degrees F. (425 if convection). Once the oven has heated, bake bread uncovered for about 50 minutes, until top is deep golden and a thump with your knuckles makes a hollow sound.